On May 9th, the first AVA Tasting Panel took place at Vinum 55 at Scottsdale Hangar One. The Arizona Vignerons Alliance was founded by board members Maynard and Jennifer Keenan of Caduceus Cellars, Kelly and Todd Bostock of Dos Cabezas WineWorks, Kent and Lisa Callaghan of Callaghan Vineyards, and Rob and Sarah Hammelman of Sand-Reckoner. Its goal is to set a labeling and certification standard for wines that are 100% grown and produced in Arizona while providing a comprehensive database to benefit winemakers and growers. More information can be found at Arizona Vignerons Alliance Launch and the AVA website. The anonymous tasting panel of 12 judges was overseen by Dale Sparks, wine importer and founder of Quench Wines and 220 Imports. "I have no financial interest in any Arizona winery, vineyards or company that sells or benefits from the sale of Arizona wines," he emphasized. "I am honored to be doing this, and feel like it is a small contribution to better my state and support the vignerons in Arizona who are reaching for the highest possible standards." The upstairs Staging Room was off-limits to both vignerons and judges for the blind tasting. 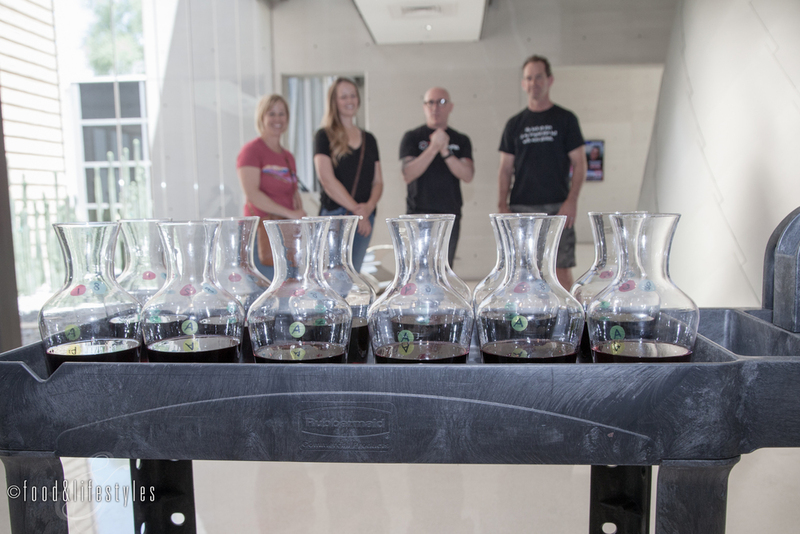 Here, the 86 wine submissions were tasted for flaws, decanted, and poured for the judges. Entries were catalogued and assigned a number for each flight list. 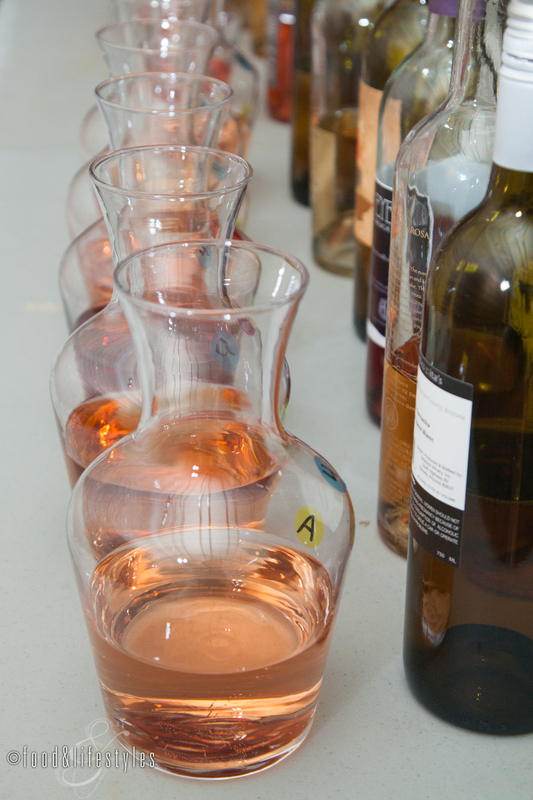 Wines were grouped together by style - whites, rosés, red, and sweet. A random number generator then sorted them into flights based on the AVA number, with each flight consisting of six wines (unless a category had an odd number). A pour code marked the panel, flight, and glass position on the judges' tasting mat. 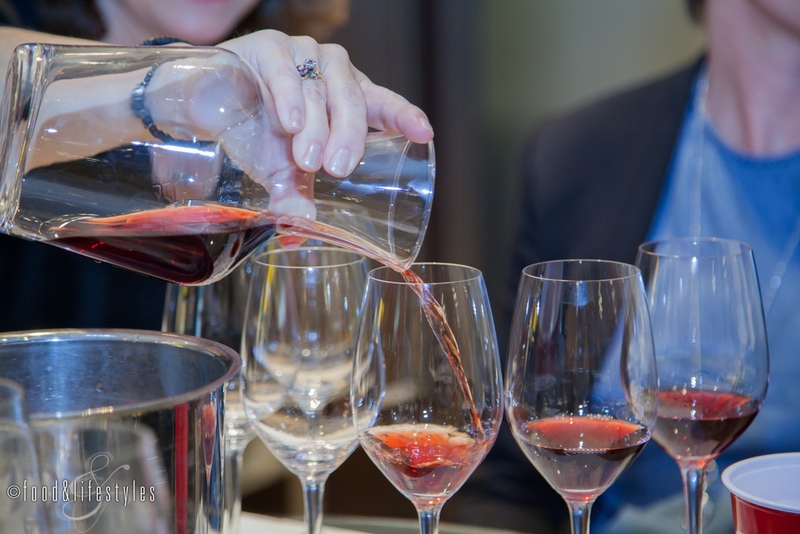 The judges consisted of 12 current and retired wine professionals, with two panels of six each. Each panel tasted different wines. "The AVA concept of recognizing producers who meet higher quality standards is almost universal throughout the wine world, in every major region and many minor ones," Dale Sparks has noted. "These types of organizations promote higher standards and generally practice what they preach. The Special Club in Champagne, The VdP in Germany, SIP in California, to name a few." "I would also note that I agreed to do this only knowing that it was open to any and all Arizona wineries that meet certain, basic criteria," said Sparks. "I know many winemakers in Arizona and consider every one of them a friend and colleague. As long as I am involved, I will do my very best to ensure fair judging, open to all, transparent in process." Richard Ruelas, AZ Republic reporter, Kent Callaghan, Maynard James Keenan, Sarah Hammelman, and Kelly Bostock talk as the wines are being judged in the Panel Tasting room. To be the first to sample or purchase Arizona Vignerons Alliance certified wines, join FnB this Sunday for an informal picnic lunch. Also, learn more next week as the Arizona Vignerons Alliance celebrates at a special "Between the Vines" event on Thursday, May 19th.